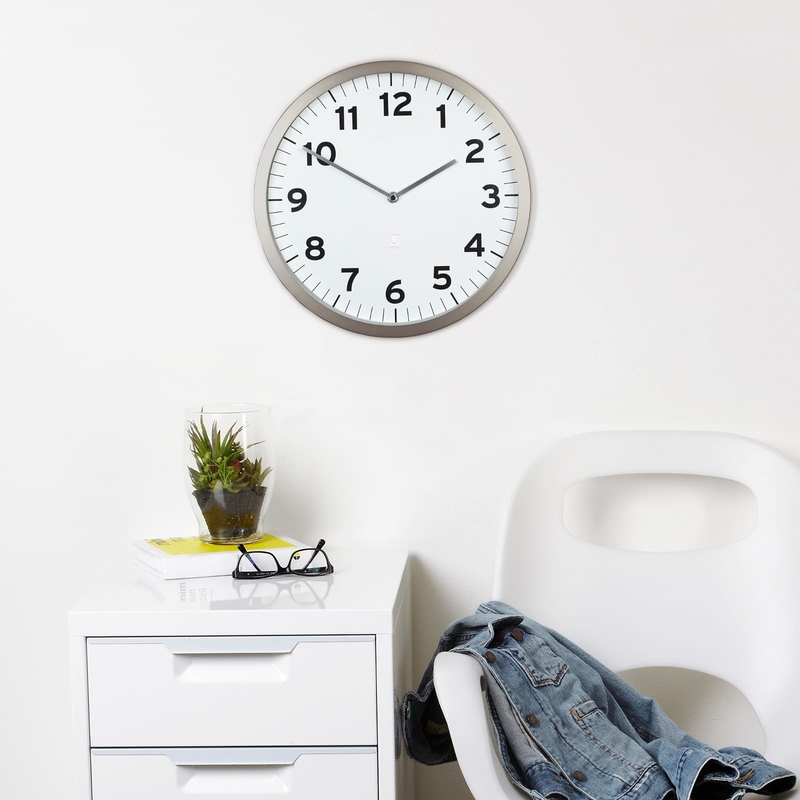 Anytime Clock White by Umbra is a traditional wall clock with a contemporary update. 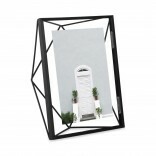 Made from solid metal it has a glass covered lens that gives it a luxurious glossy finish and a crystal-clear face. 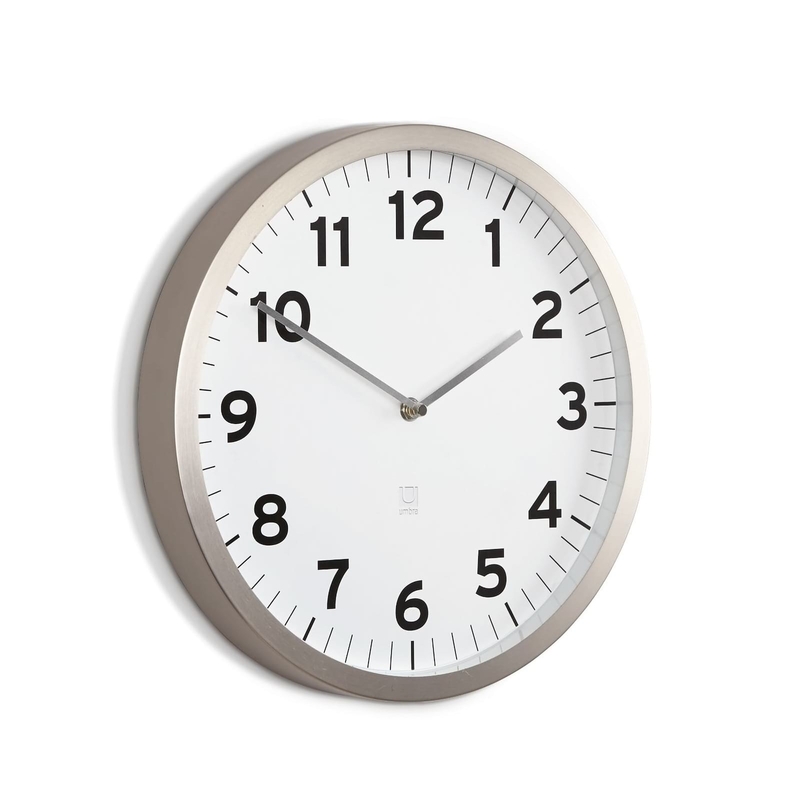 Sleek and sophisticated the Umbra Anytime Clock is the perfect addition to any modern home or work space. 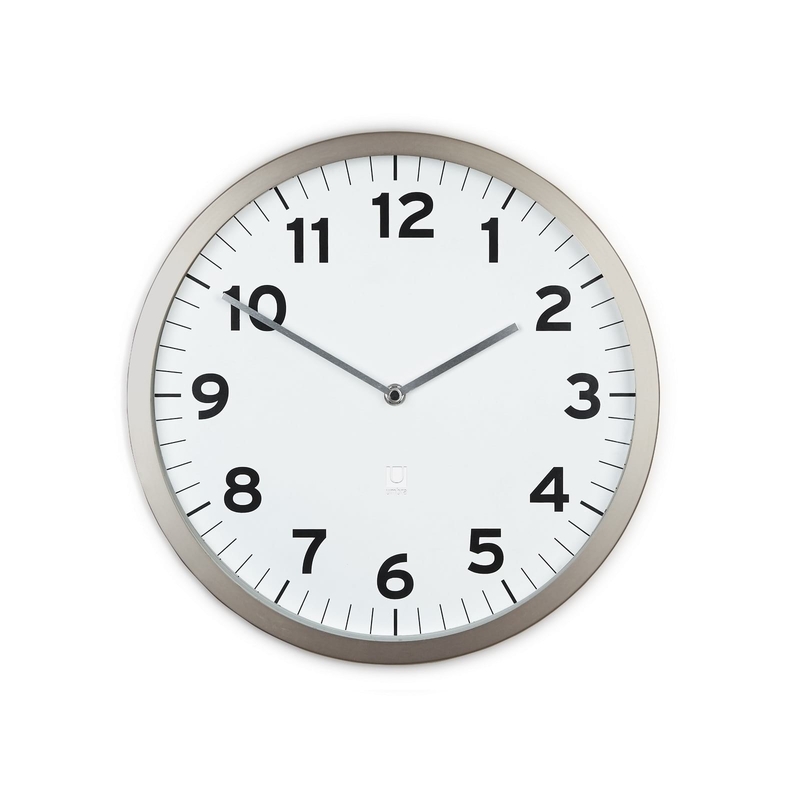 Dimensions: Diameter: 31.8cm, Depth: 3.9 cm.